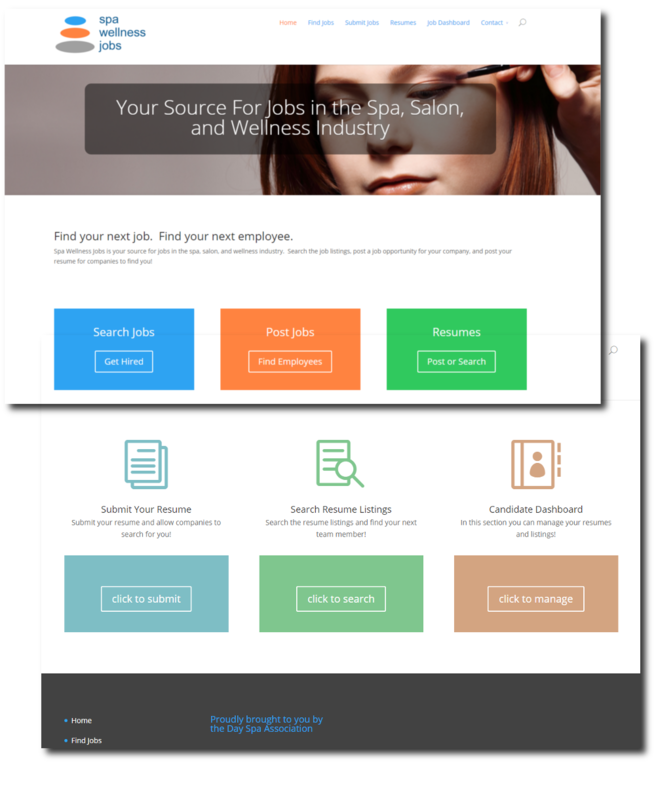 We have added a great and valuable tool for finding jobs within our industry, as well as finding the ideal candidate for open positions. The DSA is proud to present Spa Wellness Jobs! It’s a FREE resource available to you! Find out how it works…it’s FREE! All spa job listings and salon job listings, links and associated materials are provided by non-DSA/IMSA personnel. Our Associations do not endorse or vouch for any of the information you may acquire through these sites. Always be careful when replying to ANY requests for personal information on the web.